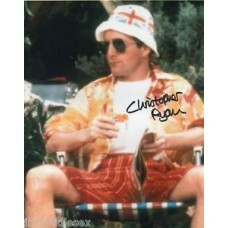 Christopher Ryan (born Christopher Papazoglou January 25, 1950) is an English actor. 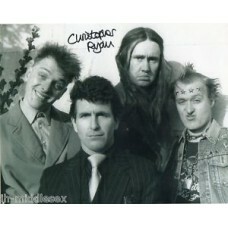 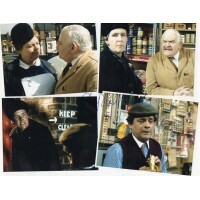 Ryan is perhaps best known for his role as Mike "The Cool Person" in the BBC comedy series The Young Ones. 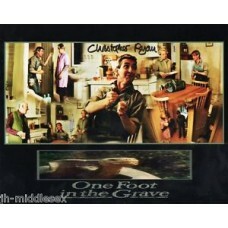 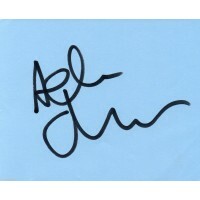 Christopher Ryan Autograph - One Foot In The Grave - Signed 10x8 Photo - AFTALChristopher Ryan (born Christopher Papazoglou January 25,..
Christopher Ryan Autograph - The Young Ones - Signed 10x8 Photo 3 - AFTALChristopher Ryan (born Christopher Papazoglou January 25, 1950..
Christopher Ryan Autograph - The Young Ones - Signed 10x8 Photo 1 - AFTALChristopher Ryan (born Christopher Papazoglou January 25, 1950..
Christopher Ryan Autograph - Absolutely Fabulous - Signed 10x8 Photo 1 - AFTALChristopher Ryan (born Christopher Papazoglou January 25,..
Christopher Ryan Autograph - Absolutely Fabulous - Signed 10x8 Photo 2 - AFTALChristopher Ryan (born Christopher Papazoglou January 25,..